SK Telecom will explore VR/AR content, including virtual fan meetings. SK Telecom has signed a contract with Riot Games Korea, which outlines a sponsor agreement of the LCK until 2020. The contract details that SKT has received the rights to broadcast the League of Legends Champions Korea on its video service, oksusu, and develop LCK-related AR and VR content. Starting on April 13, the 2019 LCK Spring Finals will be broadcasted live on oksusu. While watching live, viewers will be able to use the touchscreen feature to enlarge the screen by up to four times without image quality degradation. Future plans to offer “5GX Multi-View,” which simultaneously livestreams 10 different videos at once, was also announced. The service will allow viewers to watch the computer screens of each professional gamer, in addition to the main broadcast. SKT also confirmed its future plans to begin providing live AR/VR broadcasting for the 2019 LCK Summer Split. Viewers on oksusus wearing a VR headset will gain the ultimate immersive experience while watching LCK matches. Additionally, SKT teased VR/AR content, such as VR match replay, one-vs-one AR games with a professional gamer, and virtual fan meetings. 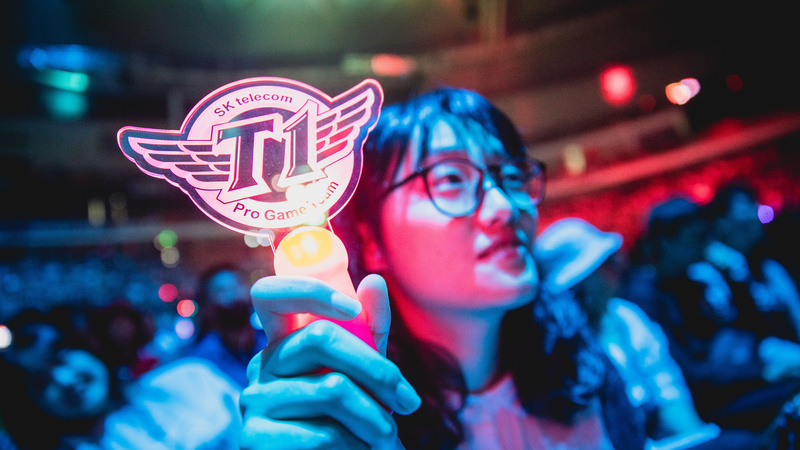 In February, SKT and Comcast Spectacor announced a joint esports venture named T1 Entertainment & Sports. The new deal saw its League of Legends team rebrand to “T1” and the organization move into several new esports, including Apex Legends.